We are grateful for your gift in any amount toward the purchase of a new HAVC heating and cooling unit for the main campus. Kershaw Heating and Cooling Service has offered to provide a new unit for $24,300. Thank you for your kindness in helping us reach this goal. 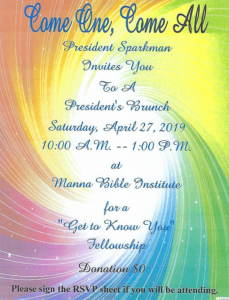 Manna Bible Institute is a 501(c) nonprofit organization. Your donation is tax deductible.